Established in 1987, we set out on a humble journey to offer global-standard Residential and Commercial real estate solutions for the discerning home buyer as well as turnkey solutions for Indian and International clients. After successfully marketing many real estate projects in Mumbai, Pune, Bangalore and Goa….. We have ventured into construction business and to begin with in Navi Mumbai since 2010. 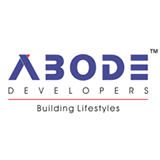 We envision Abode Developers to be a leading developer of world-class residences in the India uplifting Indian lifestyles into one that is convenient, upscale yet affordable, and environment friendly.At ABODE’s group, we will consistently deliver 110% of our client’s expectations in every real estate transaction, thereby adding true value to every relationship. To provide the finest real estate services in the region based on the highest standard of ethics, values and client care. In doing so, we will earn the loyalty and trust of the buyers who will become our life long clients and friends. Our success will always be measured by the happiness and the loyalty of our clients.